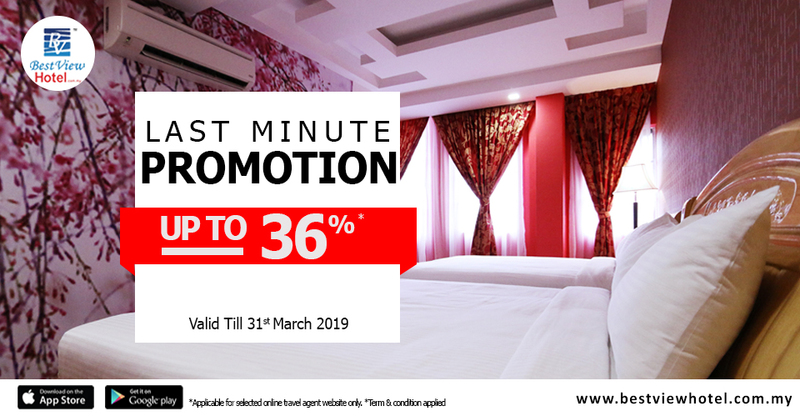 Book your room with us now and enjoy up to 36% off. Applicable for travel date before 31st March 2019. Hurry, room are subject to availability. 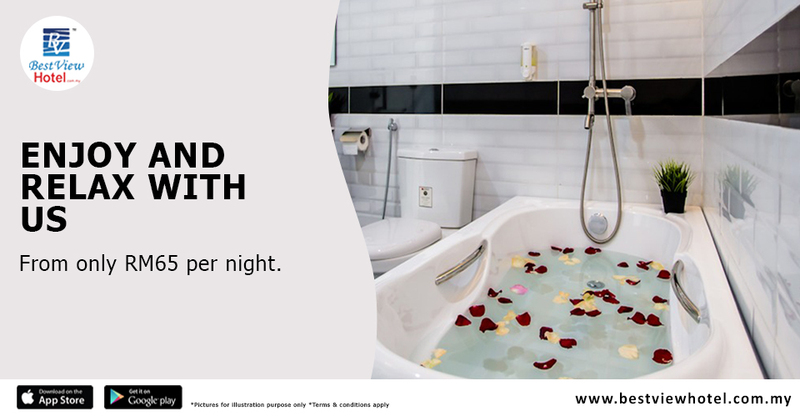 As our token of appreciation, enjoy additional RM8 off every time you book your room with us. 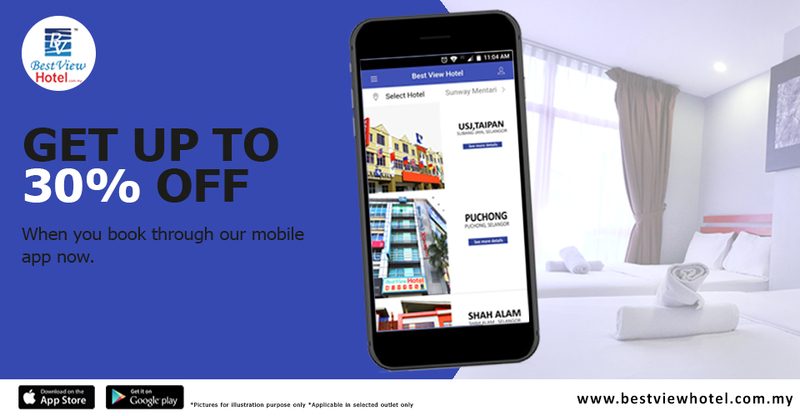 Get your hotel room in Klang Valley with extra discount when you book with Best View Hotel mobile app. Let us help you to relax. 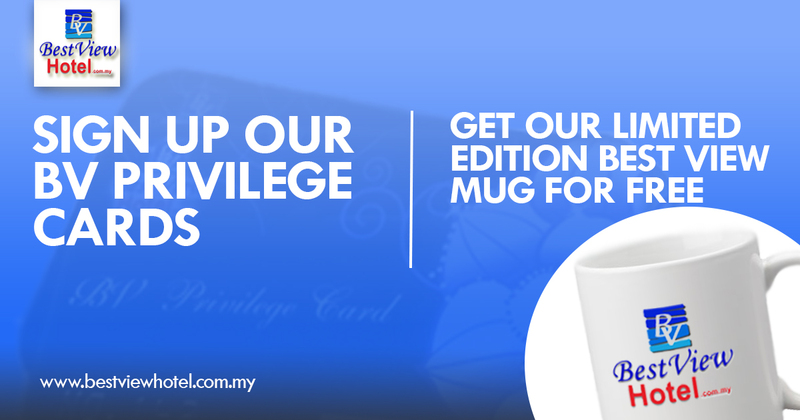 With 14 outlets in all over Klang Valley, we are offering you the best hospitality to serve your purpose. 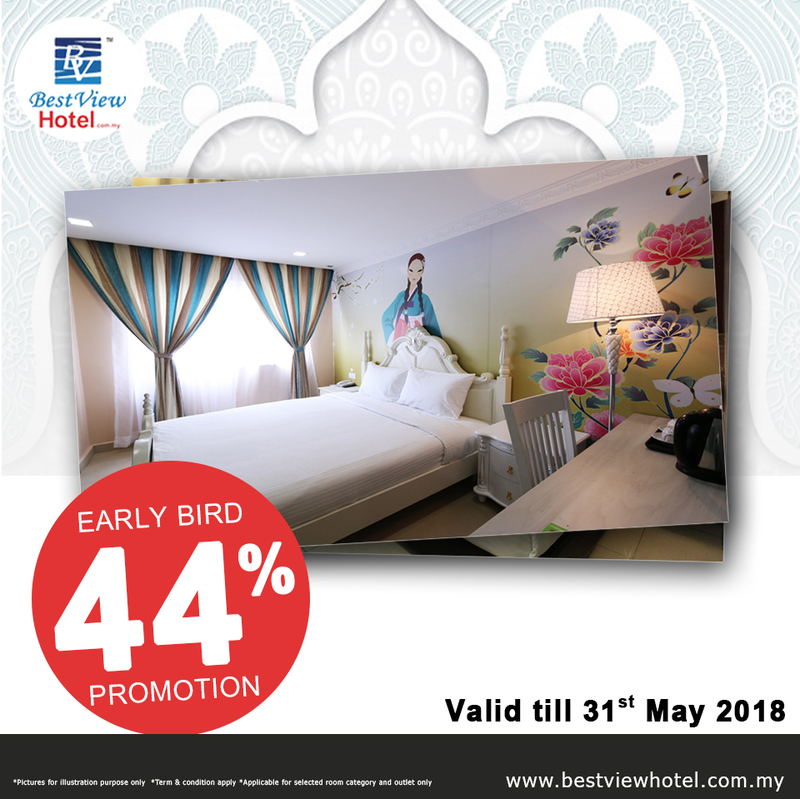 Choose Best View Hotel as your accommodation choices now and enjoy 36% off from the normal rate. Plan Your Trip Well and Save More Cost. Book 7 days in advance before your arrival date this month and enjoy 44% off in all Best View Hotel outlets.